When she was in high school, UW shortstop Sis Bates and her father would make a six-hour drive nearly every weekend just to attend softball practices. That dedication has molded the Husky junior into one of the best players in the country and a candidate for Female Sports Star of the Year. The Bates family’s dedication can be measured in minutes and miles. 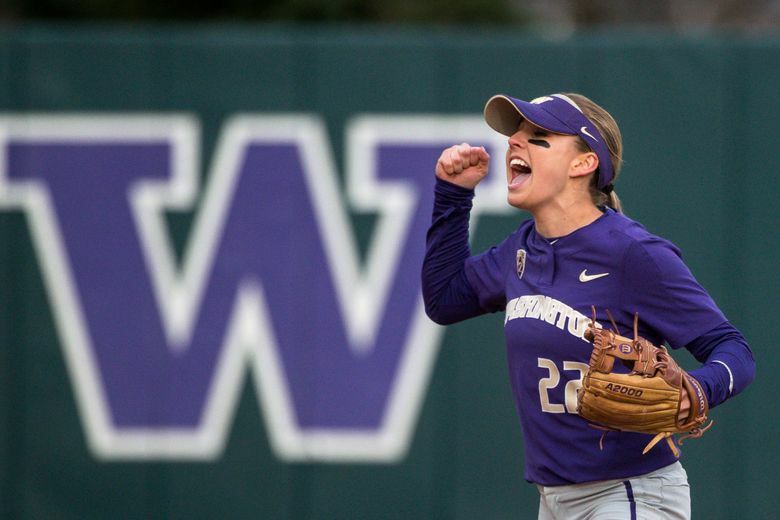 For her final three years of high school, Sis Bates — Washington’s junior shortstop and the reigning Pac-12 Defensive Player of the Year — starred on a competitive softball team based out of Huntington Beach, Calif., called Firecrackers-Rico. The catch was that Bates lived in Ceres, Calif. — 345 miles north. What: The 84th annual award show celebrates the achievements of Washington sports and recognizes the top teams and athletes in our region. So three weekends a month, 12 months a year, Bates and her father, John, climbed into their car at 2 or 3 a.m. on Sunday, hopped on highway 99 and cruised for six-ish hours to make a 9 or 10 a.m. practice. John Bates made dozens of dutiful drives through the night, keeping all music to a minimum so his daughter could sleep in the passenger seat. They’d arrive, she’d practice and improve and then they’d make the drive again. If you’re counting, that’s 690 miles, 12 hours or 720 minutes, nearly every single Sunday. That’s 75,000 miles, 1,300 hours or 78,000 minutes stretched across three years of early mornings and empty roads. That’s dedication, without a doubt. It might also be a little crazy. “The competition was just way harder in southern California and (my dad) wanted to see me push myself before I got to college,” Bates said. “He was the one that helped convince me to do it. So they did it – week after week, mile after mile. An instinctive middle infielder made big strides and long drives. But she couldn’t have done it without her dad. She wouldn’t be here without her family. “I’ve always been super close with both my parents, but it was me-and-dad-time,” Sis Bates said. “I have two other siblings, so it didn’t always happen that often. Look at Sis now. In her sophomore season at UW in 2018, the rangy 5-foot-4 shortstop led the Huskies in batting average (.389), on-base percentage (.471), runs scored (53) and triples (3), while adding a .978 fielding percentage and committing just four errors in 62 games. She was named to the USA women’s national team prior to the season and the All-Pac-12 first team at the end of it. She’s also one of six finalists for “female sports star of the year” at the 84th-annual MTRWestern Sports Star of the Year Awards, which will be held on Thursday night at the Sheraton Grand Seattle. But most importantly, she helped lead the Huskies to a 52-10 overall record and their first appearance in the Women’s College World Series championship final since they claimed a national title in 2009. That’s certainly the case for UW, which enters the 2019 season with a No. 2 ranking by ESPN and USA Softball and No. 3 by USA Today, despite incorporating eight freshmen this spring. The Huskies kick off their 2019 campaign against North Carolina in the Puerto Vallarta College Challenge in Puerto Vallarta, Mexico, on Friday. But a new season, in this case, brings familiar expectations. All her life, Bates has been competing – back when she slept through six-hour drives to southern California; when she played organized baseball at three years old because she was too young to start softball; when she dabbled in dance, gymnastics, basketball, soccer, volleyball and just about everything in between. When she earned her nickname by playing football or wiffle ball in the neighborhood with her older brother and his friends. “(Jimmy Bates) was two years older than me, and I was the only girl in the neighborhood of the people we hung out with,” said Sis, whose first name is technically Nicole. “So I was always the little sister. (Sis) was always the name my mom had called me from a young age. So it just kind of stuck. Sis Bates got her nickname from her mother, her competitive nature from her brother and her dedication from her father. Her family molded Washington’s standout shortstop into a single-slapping, grounder-gobbling Husky softball machine. Even now, Jimmy Bates lives with Sis and serves as a graduate assistant for the UW softball team. Her mother, Michelle, recently visited for a week and cooked dinner for the entire team. Sis’ dad — “good ol’ Johnny Boy,” she says with a grin — is only a phone call (or another dutiful overnight drive) away. Entering her junior season, Sis Bates is one of the premier athletes in the state, on one of the best teams in the country. She’s come a long way, but she brought her family with her. Now doesn’t that sound familiar? Mike Vorel: mvorel@seattletimes.com; on Twitter: @MikeVorel. Mike Vorel is the UW football beat writer for The Seattle Times.